Attempted May 8. 2011, did not summit. 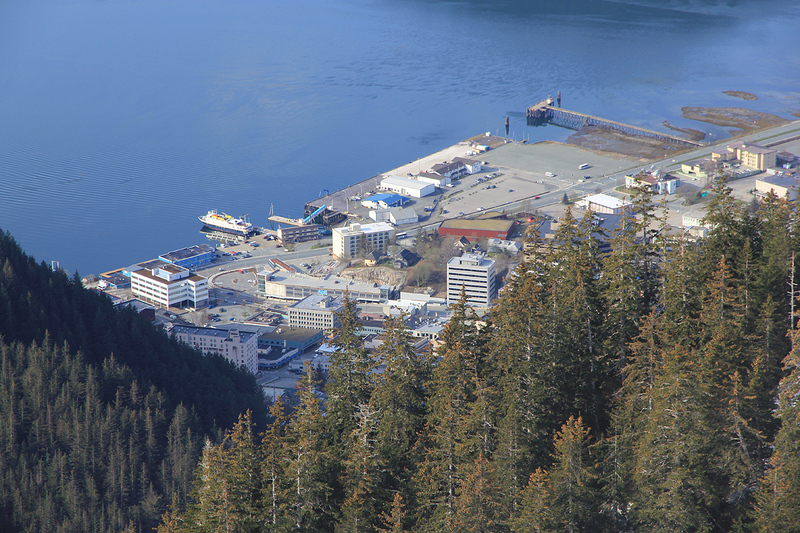 Juneau is the capital of Alaska, but a rather small place. The best way to get there is likely by air from Seattle. The airport is north of town, but several hotels provide complimentary shuttle transportation. I stayed in Juneau Hotel, a red building on the west side of the central area, (1250 W 9th street), close to the bridge that crosses the Juneau Channel. Walk into the central part of town (Government buildings) and head uphill. As soon as you bump into Gold Street, then take this street uphill (left). It tops out near a couple of benches, continue as the road turn right and becomes Basin road. Follow Basin road (left) as it curves around the local hill on a wooden bridge. Continue along this road, passing a trailhead for Mount Roberts (on your right). Eventually you will see a big trail (small road) that forks left. There are two large boulders just at the fork and a sign that says Perserverance trail 1/4 mile further along the main road. You may ignore this sign and take this left fork if all you want is to hike the trail to the summit. 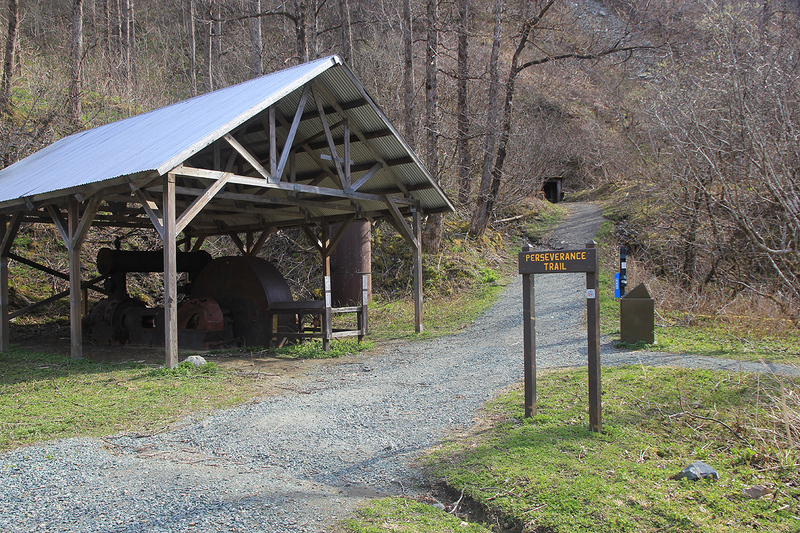 Alternatively, continue to the historical mining district about 400 meter along the main road and pick up the official trailhead for Perserverance Trail there. 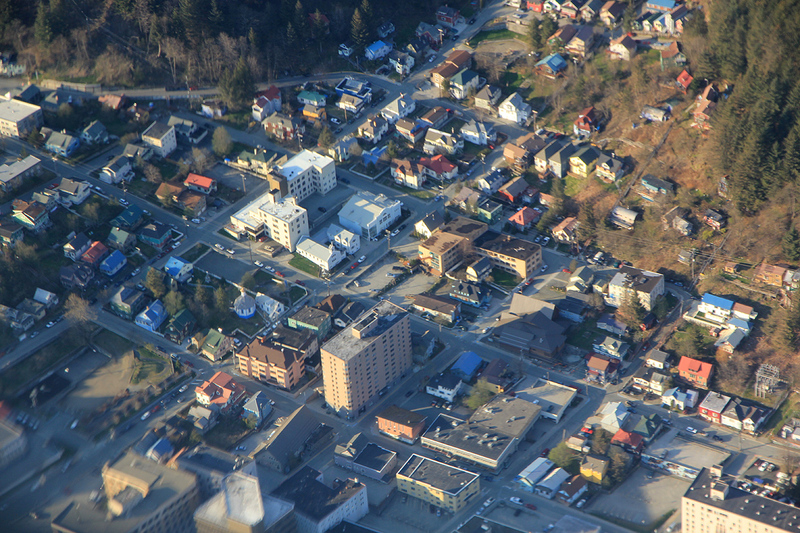 The two alternatives merge a bit up in the hillside above the historical mining district. Basin road and Perserverance trail seems quite popular for local runners as well as people walking their dog. Follow Perserverance trail as it climbs and makes its way into the valley beyond. This trail is wide as a small road. 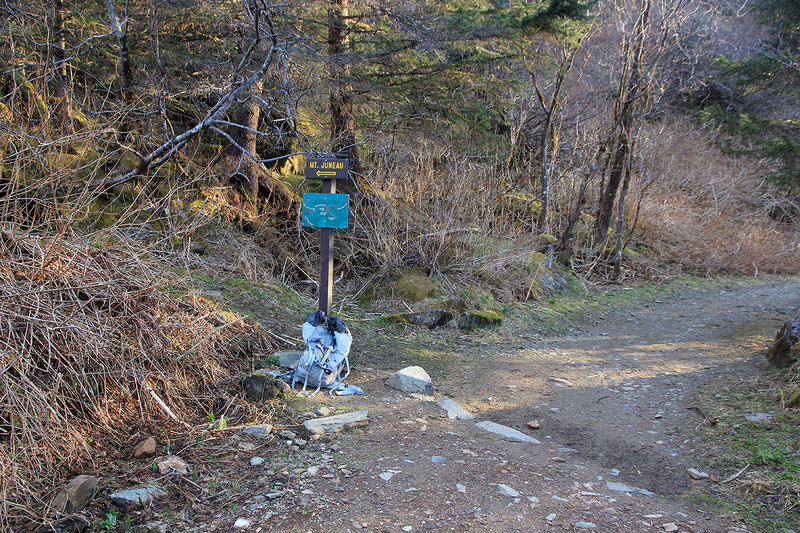 After about 1.6 km (one mile), the trail fork for Mount Juneau is clearly marked. This is at location N58:18.821 W134:22.667, elevation about 240 meter. 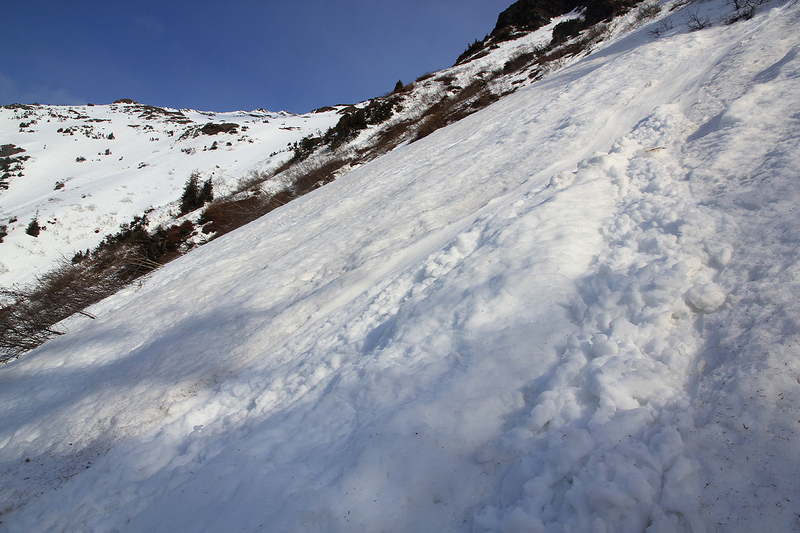 The trail immediately starts climbing in switch-backs. 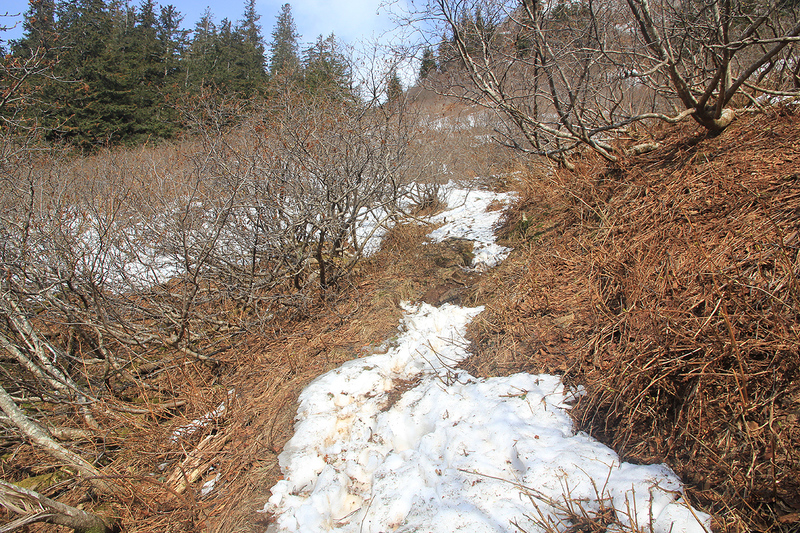 This trail is much smaller than the Perserverance trail, but should be ok to follow unless it is covered by snow. 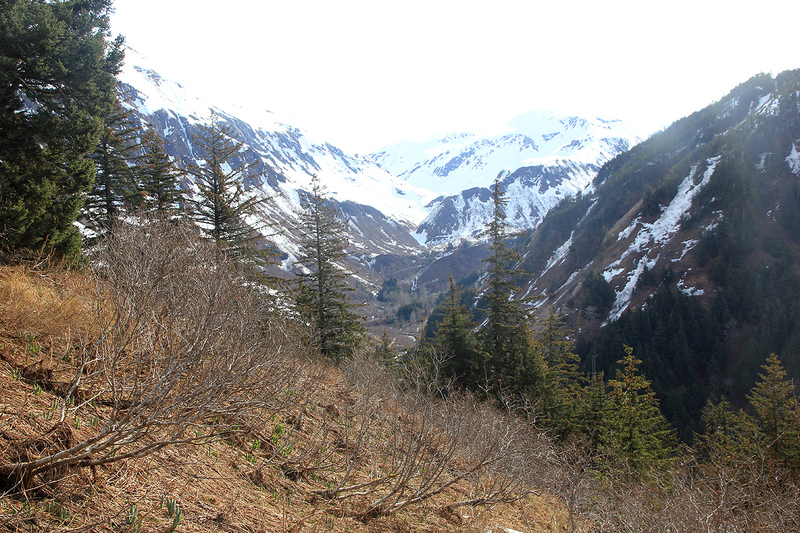 When I was there, the trail quickly became hidden by snow and therefore this description is incomplete. Judging from the terrain I could see, the route is likely quite easy when the snow has melted out. 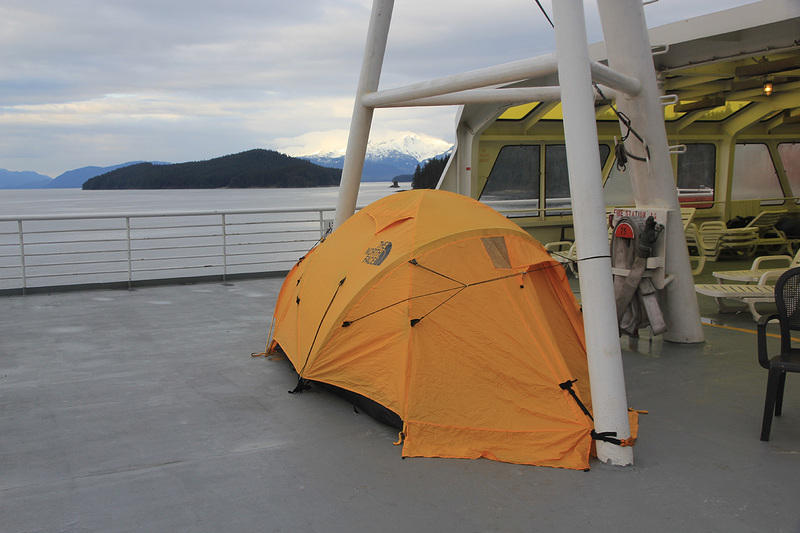 I had arrived in Juneau the day before on my way to Haines, our starting point for an attempt on Mount Fairweather. Jet-legged, I woke up early and decided to go for a hike. I left the hotel at 0545 and it took me a couple of hours to reach the point where I turned around. 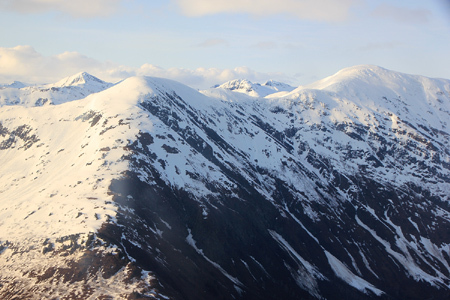 The snow was soft and I knew it would be really bad by the time of my return if I had climbed onwards to the summit. 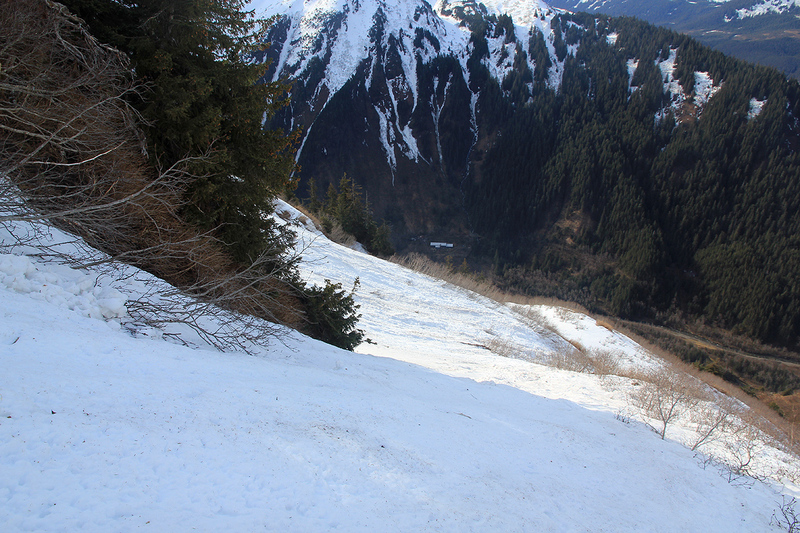 I turned around on some moderately steep avalanche slopes, elevation 663 meter. I was back in town around 1000 and found a small place that served breakfast. After getting to know this area, I do think that a hike to Mount Roberts perhaps had been a better choice. It seems that the route there perhaps would have been easier to complete with the current snow conditions. 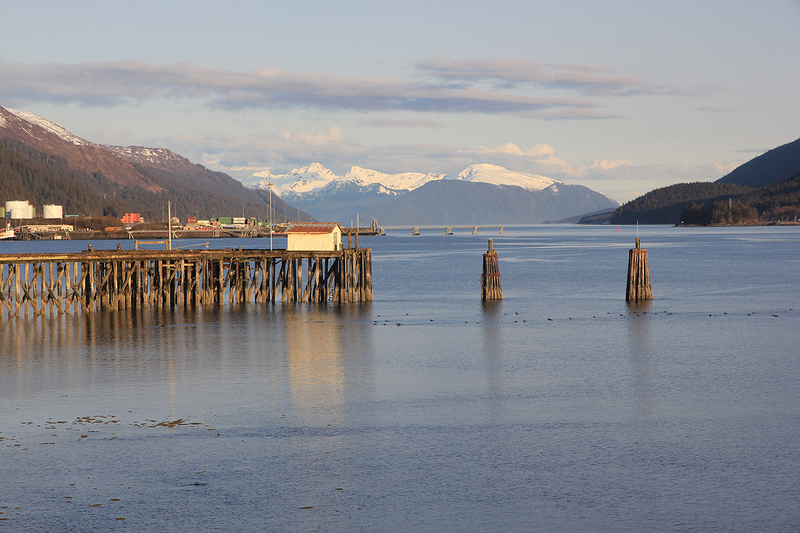 The next morning, I took the ferry to Haines. 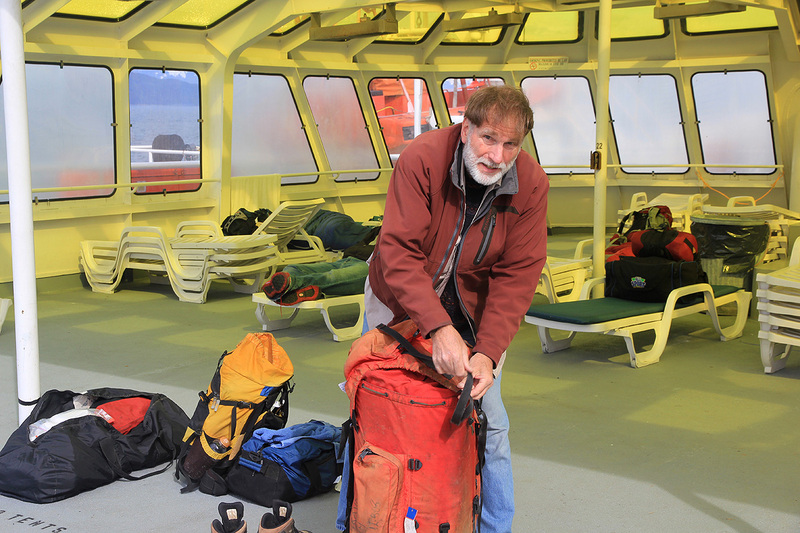 Gerry Roach was already on this ferry and we had good company sailing along the Alaska coast. 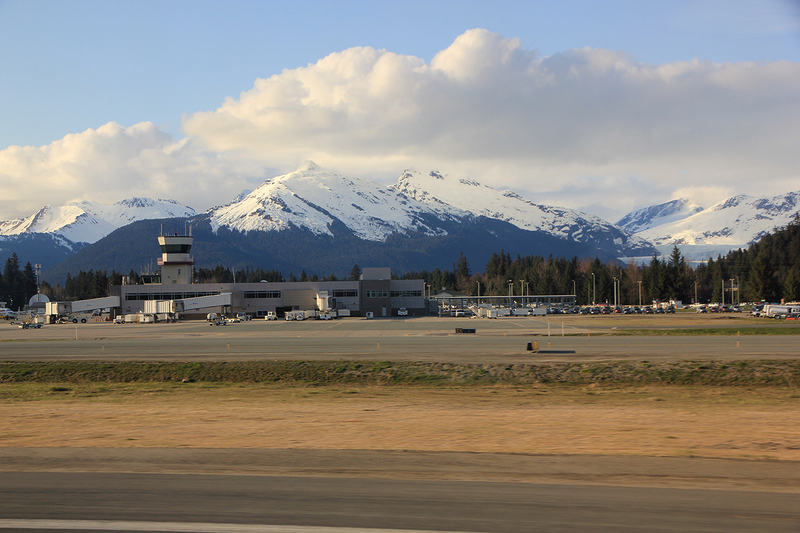 In Haines, we would meet Chris and Bryson and then wait for "Fair" weather in order to fly to Mount Fairweather. 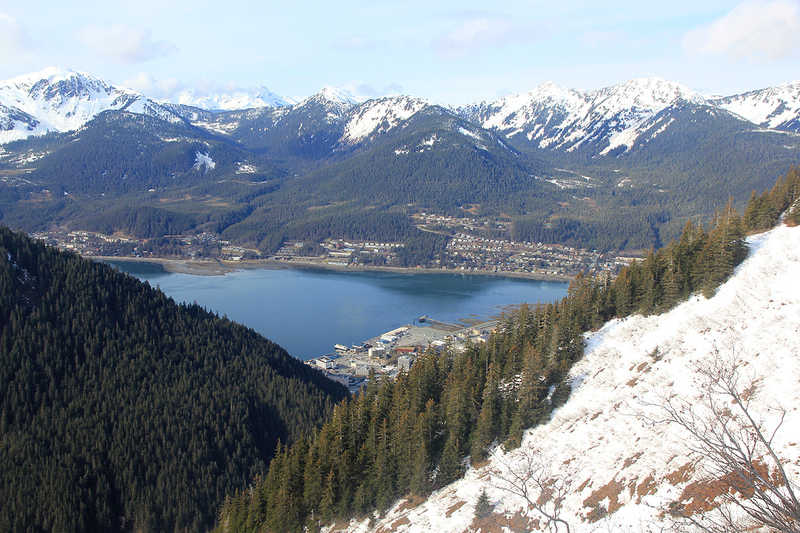 Part of Juneau, as seen from the slopes of Mount Juneau. 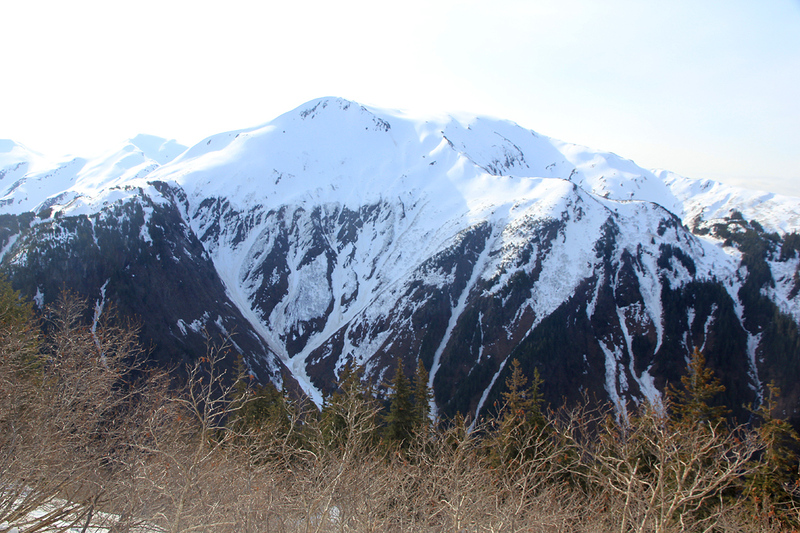 Mount Roberts, as seen from the slopes of Mount Juneau. The valley served by the Perserverance trail.